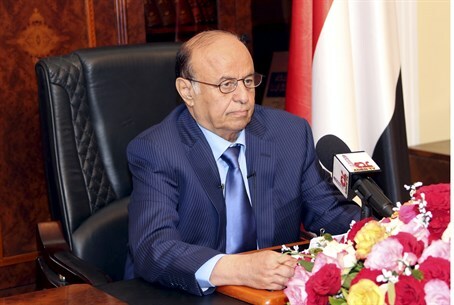 Yemen’s president Abd-Rabbu Mansour Hadi thanks Saudi Arabia after it announces the end of the operation in Yemen. Yemen’s president Abd-Rabbu Mansour Hadi on Tuesday night thanked Saudi Arabia and the Arab military coalition for their support of his "legitimacy", Reuters reports. "I extend on my behalf and on behalf of the Yemeni people sincere thanks and appreciation for the Arab and Muslim brothers and our partners in the coalition for supporting legitimacy," he said in a televised speech from exile in the Saudi capital Riyadh. Hadi’s praise came hours after Saudi Arabia announced the end of its almost month-long campaign to bomb Hadi's rivals in the Iran-allied Houthi rebel group and their loyalists in the army.